1. Exempted from the registration fee, tuition, experiment fee, internship expenses, and basic textbook expenses and apartment fee. 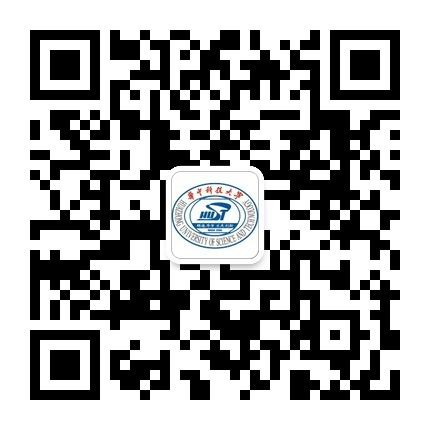 4.Enjoying one-time hard seat train ticket from entry port to the city of the university, or one-time hard seat train ticket from Chinese language education institute to the city of university, and from the city of university to the city of the exit port when graduation. Enjoying free Hard Bed Ticket in case of an overnight train travel. 1. Scholarship living allowance will be granted to the students after the students are enlisted in the university each month. 2. Students who enrol before or on 15th of the month will be given full allowance for the current month and half for students who register after 15th of the month. The allowance for student who will graduate in our university will be extended until the half month after graduation day determined by the University. 3. Students, who cancel the study, suspend the schooling and end the study will not be given the allowance in the following month after leave. 4. The allowance will still be granted during holidays provided by the university. Students sponsored by the scholarship can get the allowance after return if they leave the university during holiday and fail to get the allowance. 5. If students sponsored by the scholarship fail to return to and register at the university on time without application, or leave without medical report or are absent without permission for over one month, they will not be given the allowance of the month. 6. Students who do not abide by disciplines and regulations of the university will be deprived of their scholarship of the next month according to their behaviours. Students sponsored by the Chinese Governmental Scholarship must open a current account at Industrial & Commercial Bank of Chinaand inform International Students Office of the account number. The monthly scholarship will be deposited into the candidate’s bank account directly and students can withdraw the scholarship from the bank every month. Students should sign between 20th and 26th each month at International Students Office. Monthly scholarship will directly be granted into students’ personal account from the Finance Office. Students should draw the allowance themselves and cannot ask someone else to draw the allowance or sign the name for them. No allowance is issued during the period of internship outside China. Students who take the internship inChinashould get the approval first (application, permission from tutor and the school/department, permission letter from the receiving company; students should put on record at International Students Office), and draw the scholarship within the period of approval. 1. Chinese-government-scholarship-sponsored students who have been studying in our university for over one year should receive a scholarship assessment since the second academic year. Students sponsored by the scholarship should fill the Annual Assessment Form for the Chinese Government Scholarship established by China Scholarship Council at the beginning of each April. An assessment team constituted bySchoolofInternational Education, Students Affairs Office andGradatesSchoolwill evaluate students’ study scores, attendance, study attitude, performance and punishments/awards received. The result of the assessment will be reported to the Council and the Council makes the final decision. The university will inform the students of the final results. 2. Please refer to the assessment notification of the year for the details. 3. Candidates who are truant from school for over two weeks in one semester are not qualified for the assessment of the scholarship of the next semester. 4. Candidates who violate the rules of the university, damage public property, and fight with others or have other ill behaviours will be given Warning, deprived of the qualification to the scholarship or even dismissed depending on specific situation. 5. Master and candidates who fail to pass one degree course will not be qualified for the Chinese Governmental Scholarship. Students who are deprived of the scholarship can apply for self-supporting study according to the rules of the university. If they make great progress in the following academic year in both study and performance, they can apply for the resumption of the scholarship at the end of the next year. If they fail to make the application on time, their student ID will be automatically cancelled by the university and they are no longer qualified for the application of the resumption of the scholarship. Students who finish the study within the time specified and are willing to pursue the advanced study should submit a written application. After the approval by the head of the school/department and International Students Office, the application will be sent to the embassy concerned for the application of the scholarship of the next year. After the approval, the result will be reported to China Scholarship Council. If the candidates fail to apply for the scholarship or the application is denied, they have to bear the study expenses themselves for studying a higher degree. If students sponsored by Chinese Government Scholarship fail to finish the study within the period specified and need extra study time, or if students would like to take extra experiment or internship, they should bear the extra expenses themselves. Government-scholarship-sponsored students who are awarded Excellent Performance for two successive years and are recommended for the advanced study by the tutor can apply for the Chinese Government Scholarship of Excellent Performance at International Students Office. Scholarship sponsored students should bear the travelling expenses if they should defer the study and return to their own countries due to serious illness. Students whose deferment is approved by the university can reserve the qualification of the scholarship for one year. No scholarship living allowance during deferment. The qualification of the scholarship cannot be reserved if the deferment is caused by other causes other than illness.